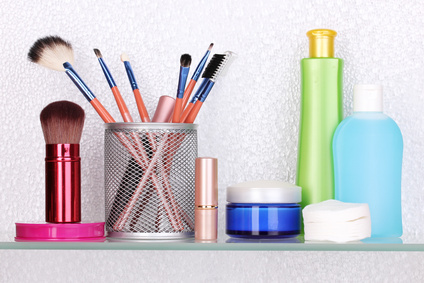 Cosmetics and toiletries are among the most commonly forgotten items. The best way to prevent this is to “duplicate your day.” Collect small, travel size bottles and containers. Although airlines restrict carry-on liquids to three ounces, one ounce will usually suffice for shampoo, moisture lotion and makeup remover. As you go about your usual morning routine of primping, priming and painting, make miniatures of everything you use. Repeat the process for your bedtime ritual. Include duplicates of vitamins, prescriptions and toiletries. Make a shopping list of those things you can’t minimize such as deodorant, toothpaste, lipstick, eye shadow, mascara, etc. and purchase them in sample sizes. Can’t find your brand? Check out www.minimus.biz for a great selection of travel-sized products. Storage for cosmetics and toiletries can be a simple zip lock bag for the minimalist or a soft roll-out hanger-top bag with clear zippered pouches. Avoid “Man-bag” sundry kits it’s like dropping everything in a deep, dark abyss. A clear vinyl bag keeps everything visible and easily accessible. For undergarments use a small mesh laundry bag. Toss in a laundry detergent pod or a sealed bag of powdered soap, a zip baggie with quarters, and a couple of dryer sheets. You’ll be able to wash and wear with ease. For hundreds of other packing ideas and a complete checklist for what to pack for any trip, call me for a personal consultation 507-281-2981 or pick up a copy of my newest book, Out the Door in 15 Minutes.